With the new year coming I wanted to share with you the tools and techniques I use to plan and be ready to tackle a fresh year! This list does not include what I use when I get down to the more detail plans for the year, things like offer promotion and content planning I utilize other tools (except for Plan Your Year With Trello-it contains ALL the plans), but these are the big picture tools and techniques that go into my yearly planning. The new year is coming…my planning weapons tools! As I discovered last year, this book sparks inspiration and gives me the freedom to brainstorm. It might sound a bit crazy, but the Big Plan opened the door to do what feels right to me and just let the ideas flow. Using more structured workbooks sometimes made me feel like I was just going through the motions; checking the boxes. While I still do a more detailed planning + timelines Big Plan gives me brainstorming space. I recommend this book to spark inspiration on how you tackle your planning yearly or otherwise. I love to re-read this book each year to reset and make sure I’m purposeful with my time. This book reminds me to examine how I’m spending my time, and ask myself is this making me happy, is this how I want my days, weeks, years to look. Trello is where it ALL lives. Trello houses my business, and so it is my go-to spot to review what actually happened during the year. In Plan Your Year With Trello, I share how all the boards come together to give me the big (and little) picture of what happened in my business from the past year. All the main boards of my business give me an overview of where my time, focus and efforts from the year went. 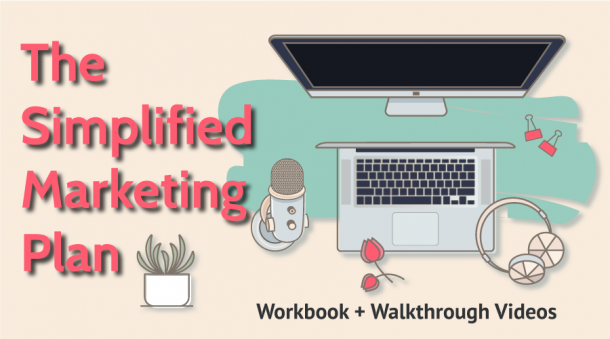 I see what topics I blogged about in a glance at my editorial calendar; I can scroll my 90-day planning board and see what each quarter held, from metrics to promotions to sales, to projects. It all lives right at my fingertips in Trello. So not only is it my insight to the past year, it gives me the tools to start making the plan for the year to come. 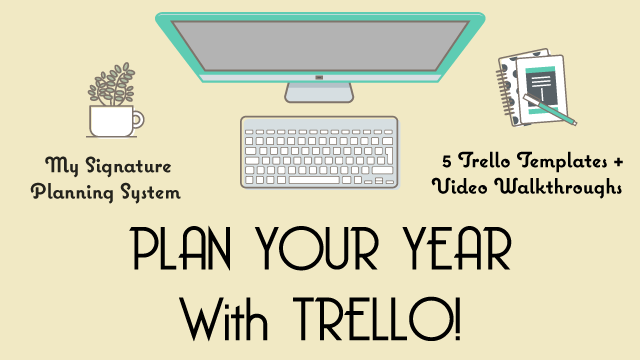 You can read more about that in this blog post and join me in planning a whole new way by joining Plan Your Year With Trello. Part of my Trello board, but totally worth mentioning separately is the CEO reports I do weekly, monthly, and quarterly. These are a true snapshot into what was happening inside my business at any of those given times. This concept came from Reina of Reina + Co. She shared this in the Big Plan, but you can read more about that here in this blog post + snag her report too. The CEO report is simply a list of questions in Typeform that I answer each Friday, then a different set I answer at the end of each month, and another set of questions I answer each quarter. 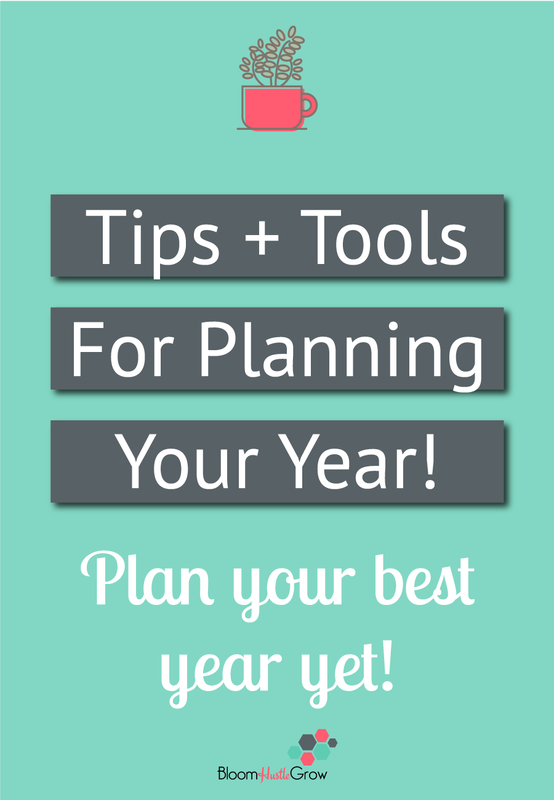 I do share with you links to those forms with the questions I use in Plan Your Year With Trello. After I get the results from Typeform, these are then moved over to my 90-day planning board in Trello all the information is right in front of me when review and planning for my business. Then when I set my new goals, I can adjust those forms to ask questions that help me stay on track with my goals in the new year. Sure, this might seem like either very obvious or not really a tool, but hear me out. It’s SO easy for us to get caught up in the what’s next with our business and with life. Schedule a day or two to dedicate to planning. Giving your brain a break and providing yourself mental space to set your year up with intention is SO important. Stepping out of your day-to-day allows you to be able to have space to ask yourself what is serving you in your business and life, not just going through the motion of getting a plan together. Read this post about planning a solo retreat to reset. This is the time to let your brain run wild and dream what’s possible. Don’t be too worried about the action yet, let yourself be free and flowing when thinking about what’s next for you and your business. I’ve listed two books that help me get out of my own headspace, review the books, podcasts, songs, whatever that allows you to get out of your own head and feel inspired. Then write it all down, get it out of your head. AND THEN take all that brainstorming and format it into what is possible for the next year. Get it organized and ready for action. When you are ready to format your plan, then you can start editing and considering the “limitations” but start messy. So after being messy, it helps my brain to map out when some of those ideas might take place, and this printable calendar is perfect for that. I can be messy but see the mess take shape. I map out any interruptions in schedule I know will happen the upcoming year, things like trips. Then I start to think about when it might make sense to work on big projects or promote certain offers in my business. 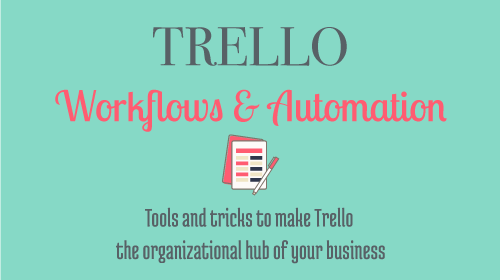 Then it all comes back into Trello, and the mess gets systemized and organized. So if you want that same system for your business, a place where ALL THE THINGS live and your planning becomes action– Join me for Plan Your Year With Trello. Don’t let your dreams and goals gather dust for another year. I would love to hear how you plan your year and what tips you have! Comment below or join me over on Instagram in this post to share. This post includes affiliate links meaning I get a small payment if you purchase through my link, it’s no additional cost to you. 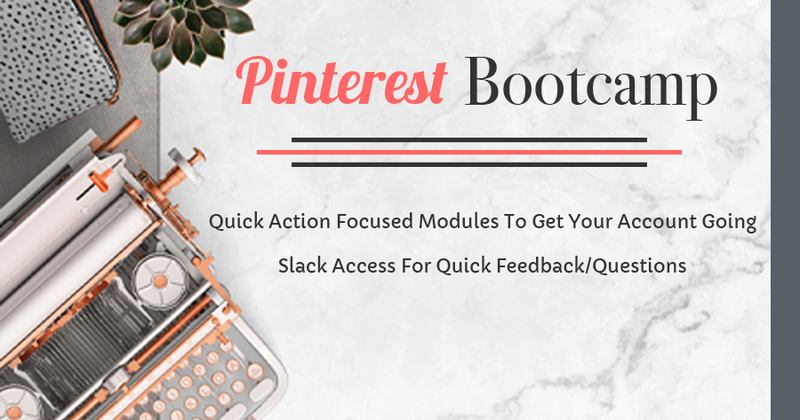 These tools are the exact tools I use and I would share them with an affiliate link or not.